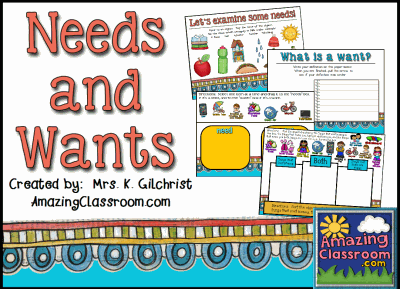 This flipchart will help your students identify the difference between needs and wants. This flipchart has a title page, objectives, a video, sorting activities, voting, and more! This colorful lesson will add fun to your economics social studies unit. Enjoy!